Russ Bassett Corporation has built a reputation for providing high quality, innovative products. The company prides itself on designing and manufacturing uncompromising technical furniture and storage products that are unmatched in the industry. 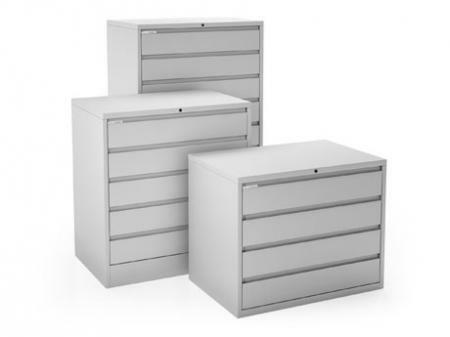 The company offers a broad selection of storage products, designed specifically for media storage applications including Gemtrac, Slidetrac and other high-density cabinets and shelving solutions. Russ Bassett also designs and manufactures Desience Modular Consoles for mission critical environments. The company makes it a top priority to provide top-quality service and “best fit” solution for its customers. For over 45 years, Russ Bassett has become a market leader because of its full range of support and services including space planning, design, engineering, manufacturing and installation.